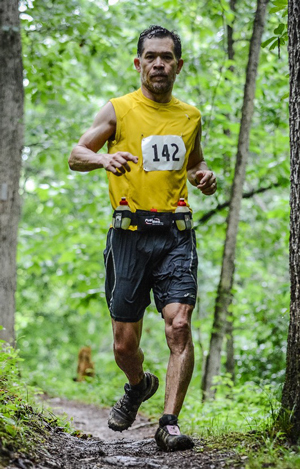 My name is Dorn Wenninger and I am attempting to run 7 marathons on 7 different continents in 7 days. I’m running around the world, literally, to bring awareness for all the values that AMIGOS represents, and am fortunate and grateful to AMIGOS for being the foundation of the person that I am today. 100% of all donations will go directly to AMIGOS. My first travel outside the US was as a 16 year old volunteer with AMIGOS. The above photo is me with my partner Peter in my first AMIGOS summer. Since that summer, I have lived, worked, and traveled in 98 countries. When I land in Dubai, that will be the 99th country that I visit. I would like to challenge the community to get donors from 99 different countries! I was also the Training Director for the Ohio Chapter for 2 years. I was on the International Board of AMIGOS for 2 terms, and I’ve been on the Foundation Board for the last 5 years. I am dedicated to the AMIGOS organization at many levels and look to you, my friends and family to support my upcoming marathon challenge by donating to AMIGOS. You will be able to follow my run updates on my Instagram and Facebook pages. The races have begun!! Check out my social media profiles and the updates below to see me running through Antarctica and Cape Town. I am in transit to Perth for our next race. What an amazing journey. I suspect the week will go by in a blur, and that the first 3 races will be the biggest struggle. But I’m loving every minute of it. It has already pushed me to limits of the mind and body. AMIGOS is a non-profit international organization that believes in the power of young people to become lifelong catalysts for social change. AMIGOS was founded in 1965 and has over 28,000 alumni who took the challenge to live and volunteer in a local community in Latin America. AMIGOS participants are young leaders committed to service, inter-cultural understanding and community development at home and abroad. Ready to give a large donation? Absolutely! The easiest way to make a donation is to click the "Make a Donation" button above! All donations are tax deductible and go to the Foundation for Amigos de las Américas (501c3 non-profit).